Glynis R. Hoffman, age 59 of Rollingstone, MN, passed away Friday, February 2, 2018, at Gundersen Lutheran Medical Center, La Crosse, WI. Glynis Renee was born November 11, 1958 in Chicago, IL to Ralph and Arvilla (Schmidt) Olson. At a young age, her family moved to Minnesota and she was raised in Pickwick. She was employed at various businesses over her career including Lake Center Switch. She was blessed to have four children: Christopher, Angela, Daniel and Brandon. On June 26, 1997, she married Patrick Hoffman and they just happily celebrated their 20th wedding anniversary. Her family kept her busy with many activities. She was known for her cooking, especially her soups, and enjoyed shopping at her favorite local stores. Glynis was an extremely giving person. Continuing in her habit of generosity, she chose to have her corneas donated following her passing. Glynis had a special quality of making others feel loved and valued. She was very devoted to her family, especially in her roles of wife, mother, and grandma, constantly checking in and making sure her family was fed, loved, and happy. She had an exceptionally strong and determined spirit that helped her overcome many difficulties in life. Her favorite moments were spent relaxing and socializing with her family and friends. She is survived by her husband, Pat, Rollingstone; four children: Christopher (Aleah) Harvey, Winona; Angela Harvey, Winona; Daniel Stoos, Minnesota City, MN; and Brandon Stoos, Winona; three grandchildren: Marissa Przybylski, Erminia Harvey and Adelai Harvey; her beloved pet Libby; five siblings: Merlin Olson, Winona; Ralph (Kristen) Olson, Homer, MN; Wayne Olson, Winona; Dixie Olson, Winona; and Onalee (Gerald) Zeller, Winona and other relatives. 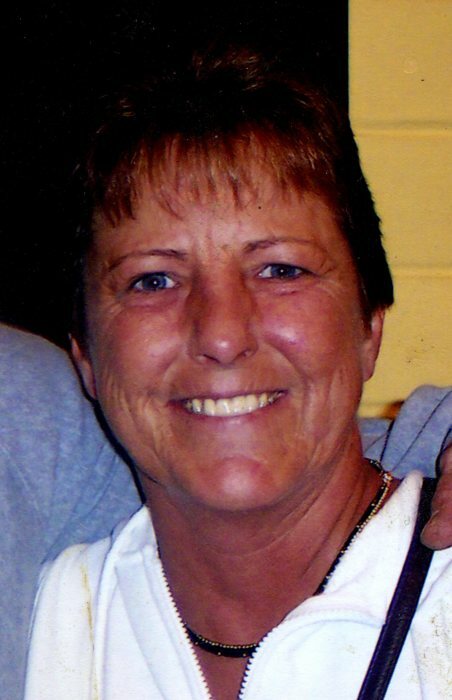 She was preceded in death by her parents, her brother Marlin Olson and her sister Jean Bambenek. Celebration of life service will be at 1 p.m. Saturday, February 10, 2018 at Fawcett Junker Funeral Home, Winona with the visitation beginning at 11 a.m.